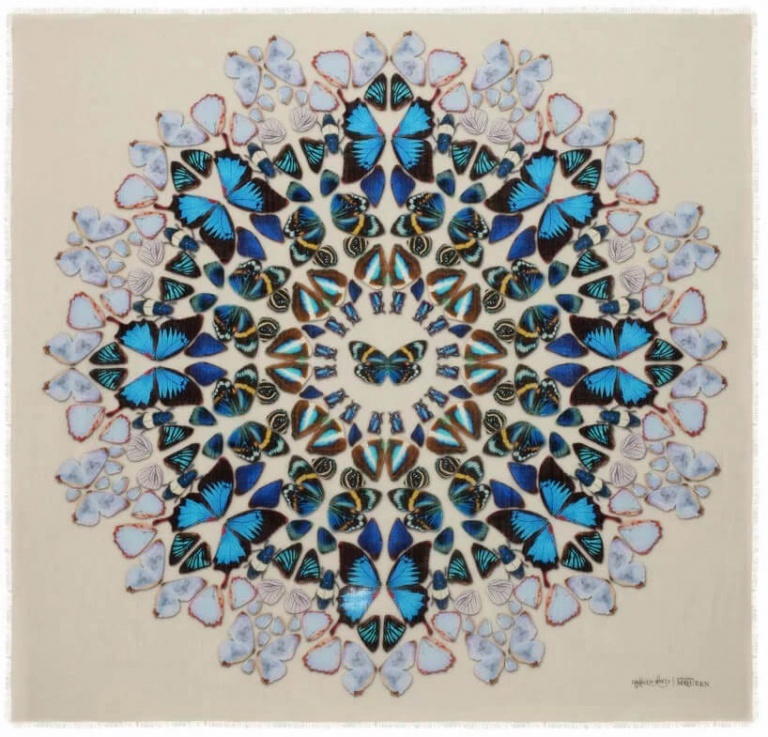 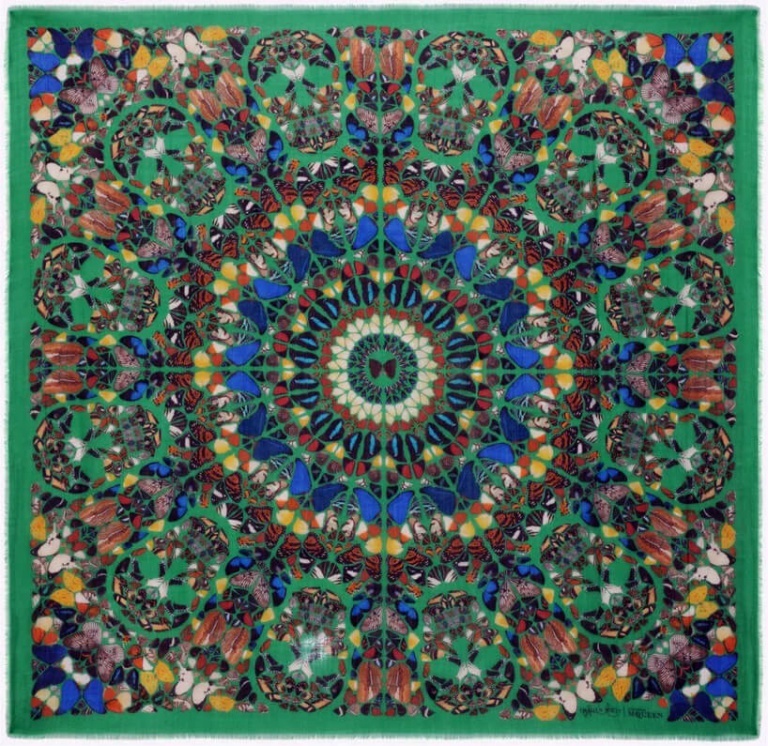 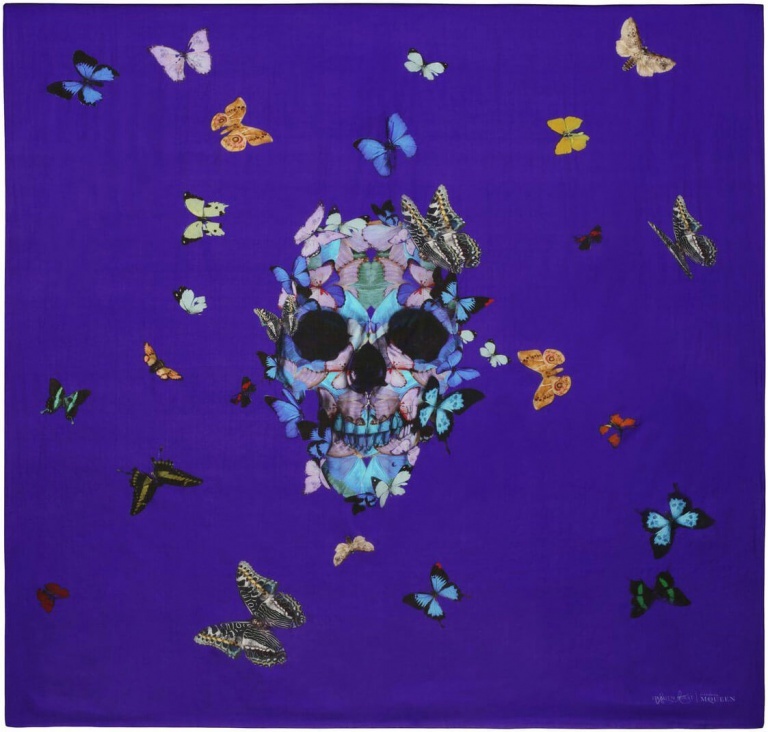 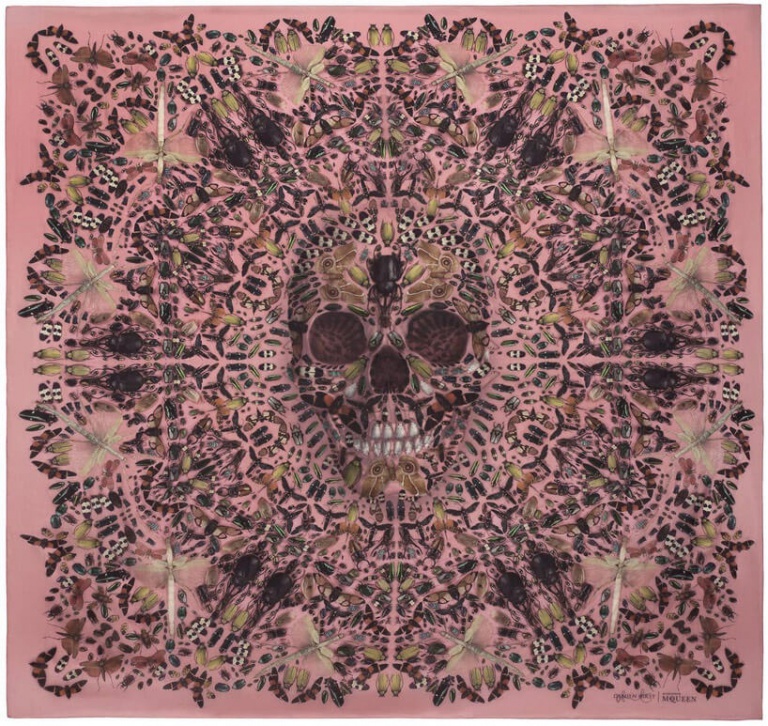 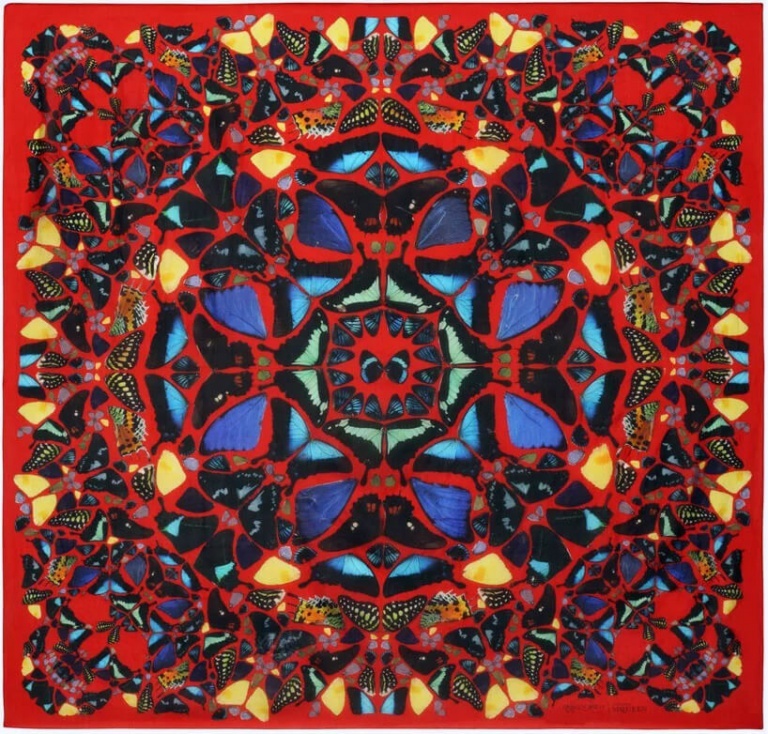 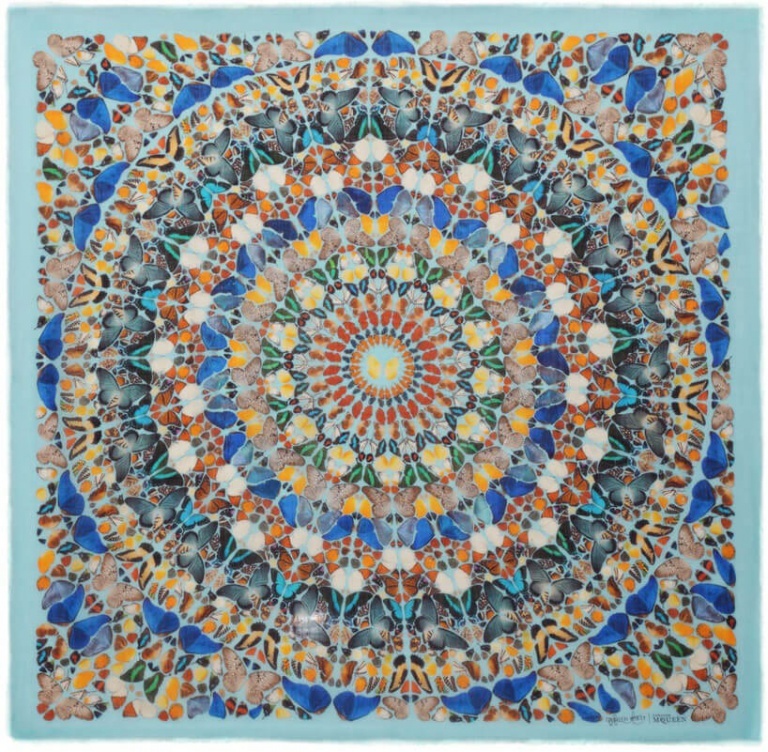 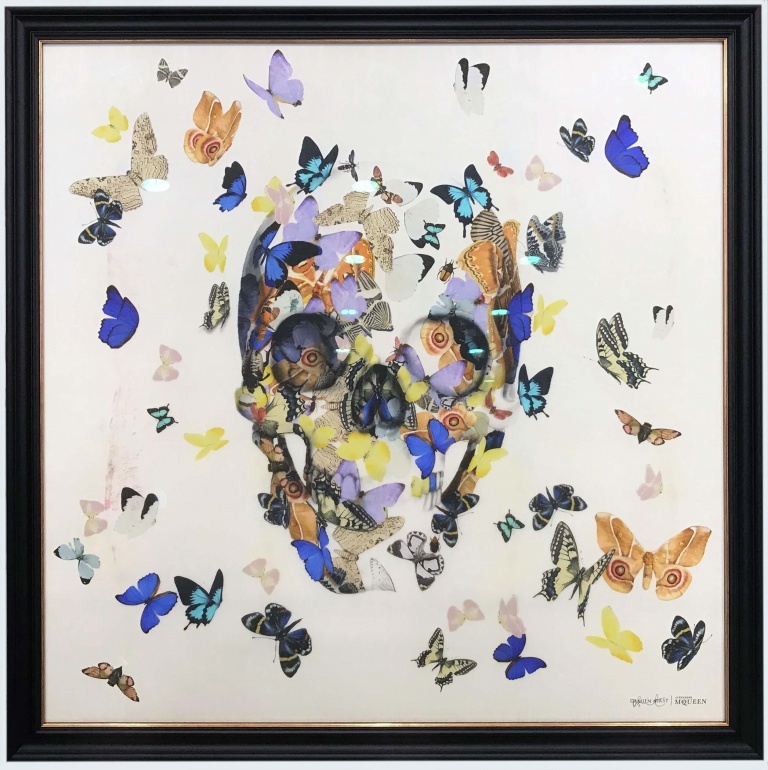 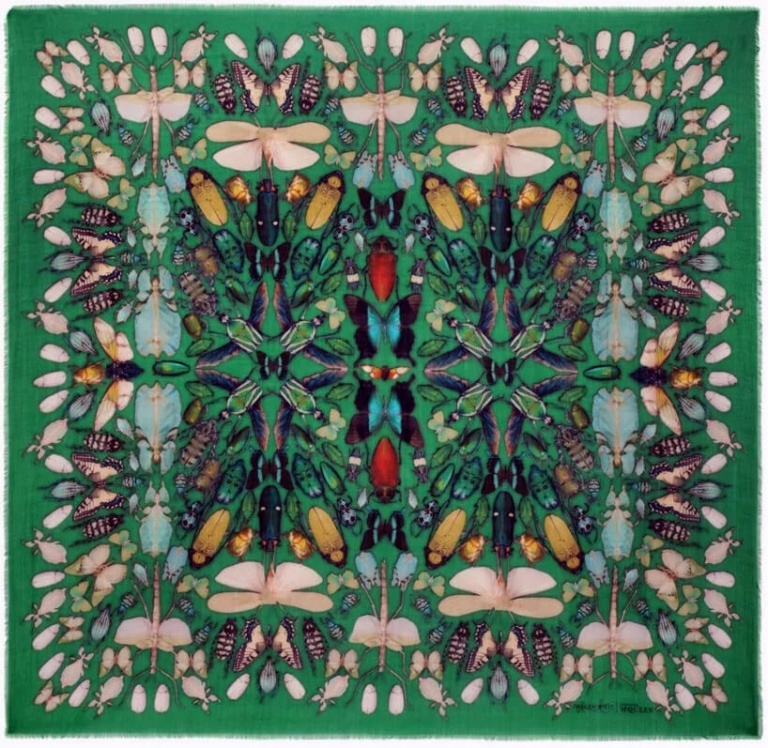 We have recently framed this scarf which was part of a collaborative artwork project between Damien Hirst and Alexander McQueen. 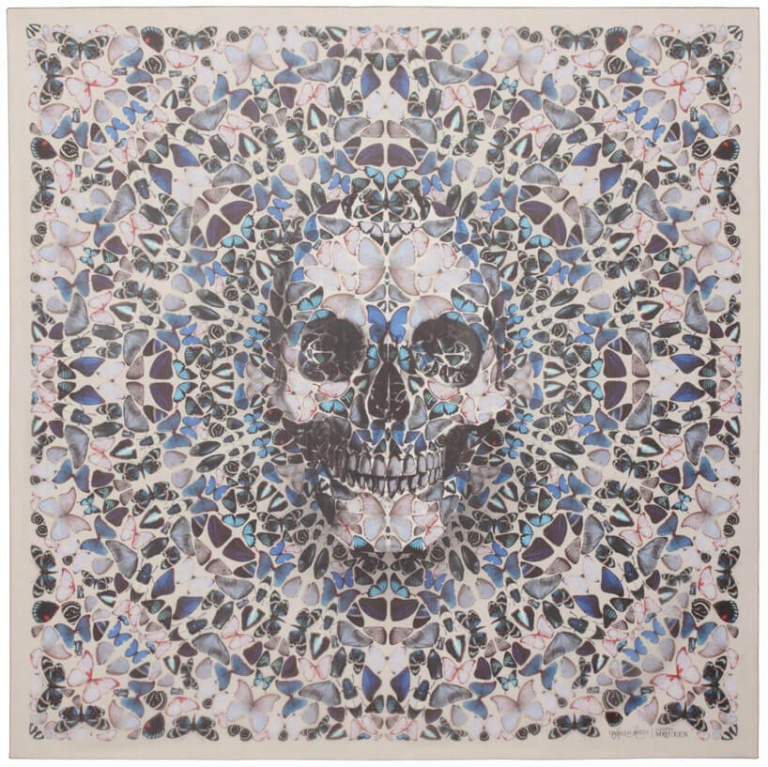 The project dated from November 2013 when they jointly produced 30 limited edition scarves. 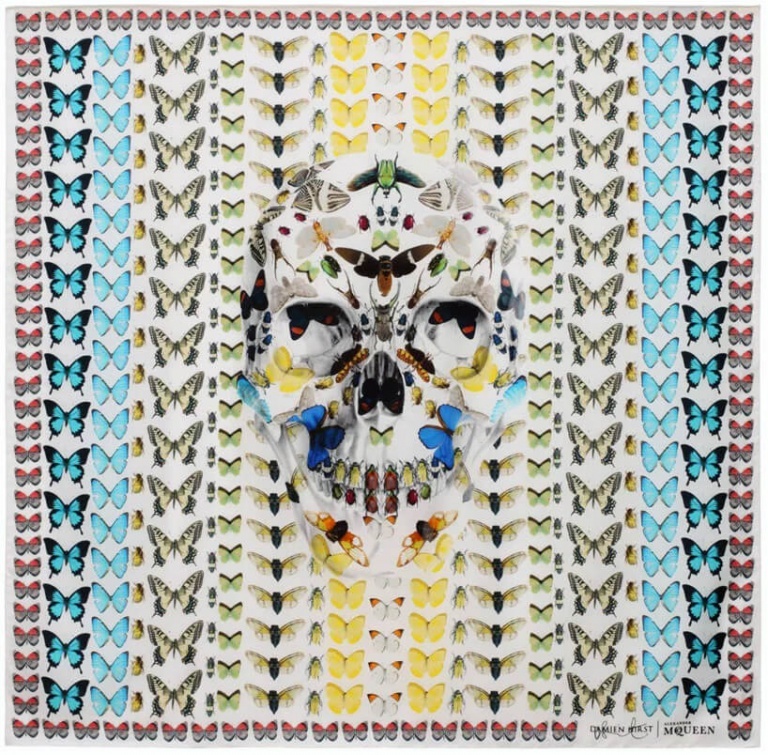 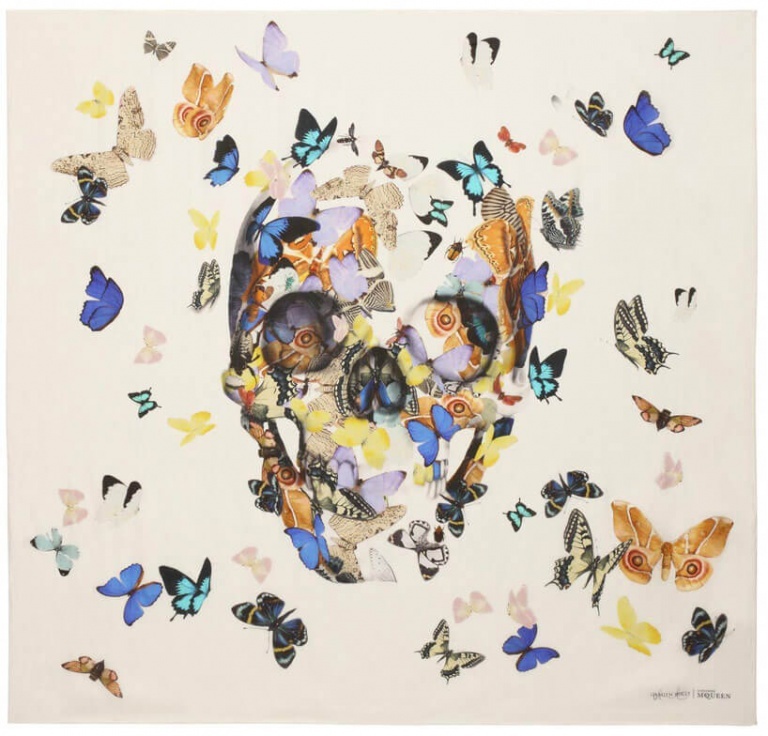 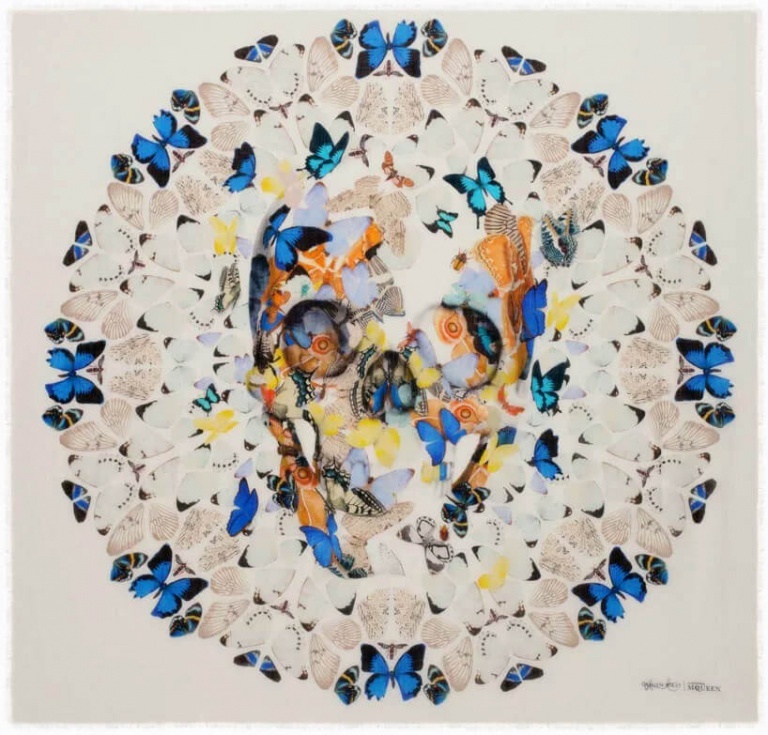 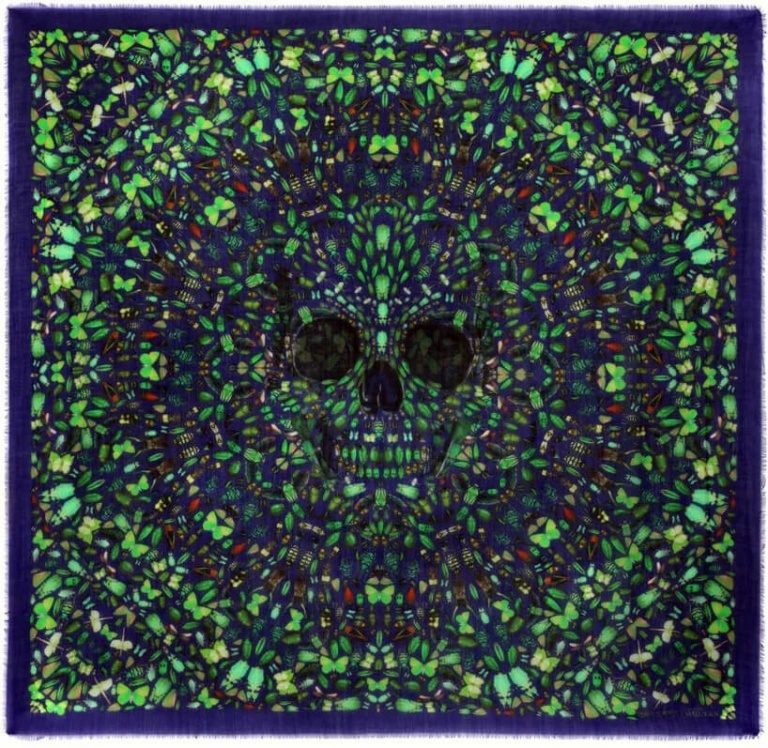 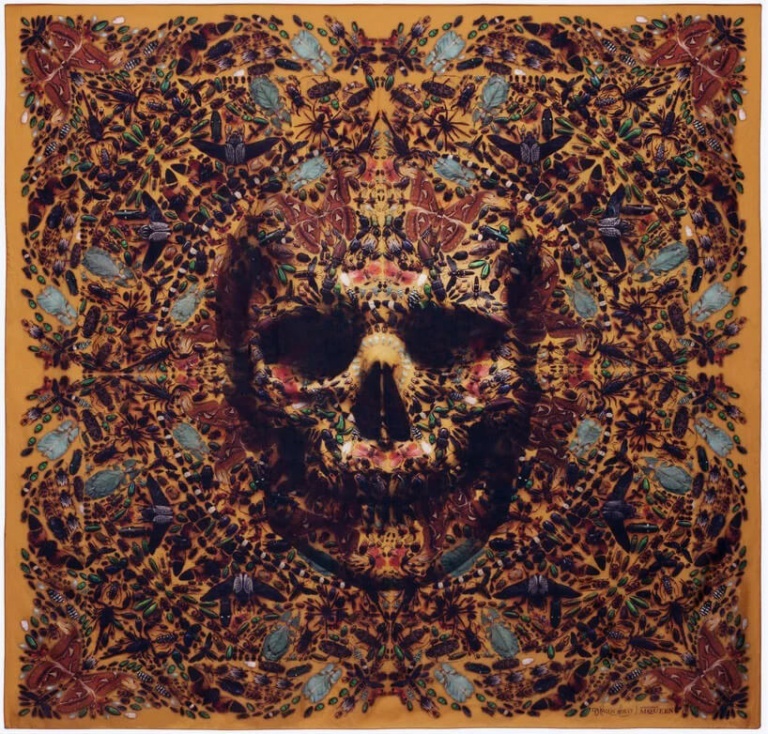 The patterns were adapted from Damien Hirst’s entemology series and form (Alexander McQueen’s iconic skull image. 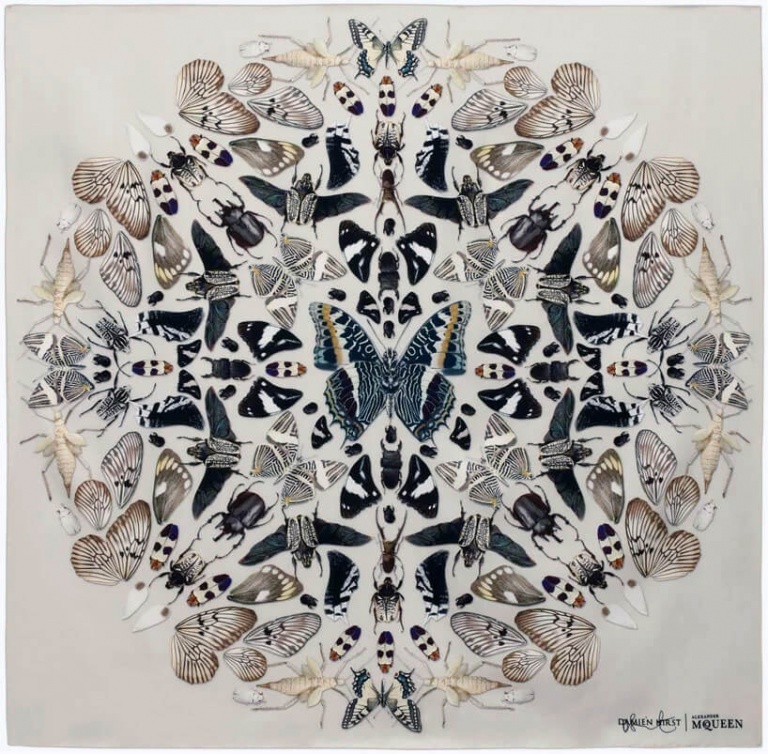 The overall images are made up of smaller individual images of butterflies, bugs and spiders.